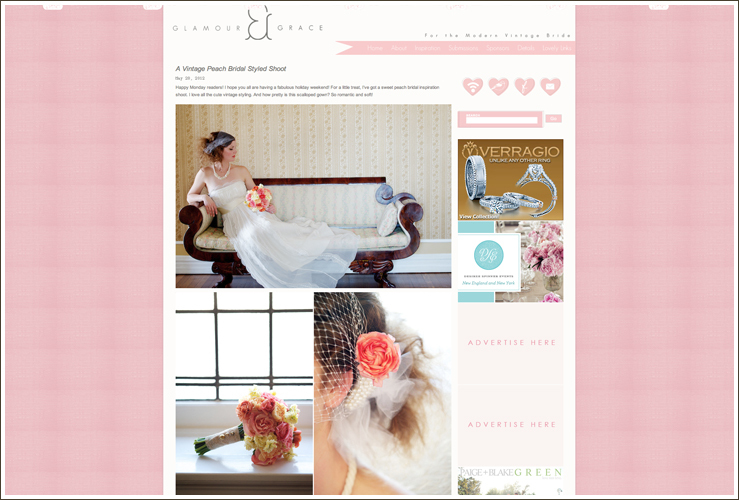 I am excited to announce that a recent photoshoot was featured on Glamour and Grace vintage wedding blog! I think it is typical for a wedding photographer to get a bit bored and stir crazy over the winter during the off-season (in the Denver area anyway, our high time is late spring to early fall). Many times wedding industry professionals get together and do styled shoots, which I personally love. It is a fun time to be creative with the latest colors and styles. I also love giving my readers and clients a look at what’s new with my own spin on the details. A HUGE thank you to the amazing vendors that came together to make this fun shoot come together. Thank you for your collaborative efforts and commitment to creating!